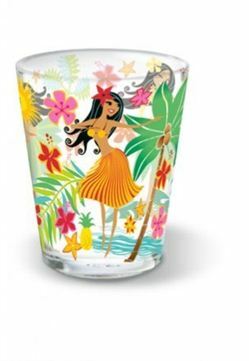 This quality, hand-blown Hula Maiden shot glass will brighten up any kitchen or bar. Our shot glasses are great Hawaii souvenirs to bring back home or to share with family or friends. Measures approximately 2-3/8" H x 1-7/8" D. Holds 1 oz.